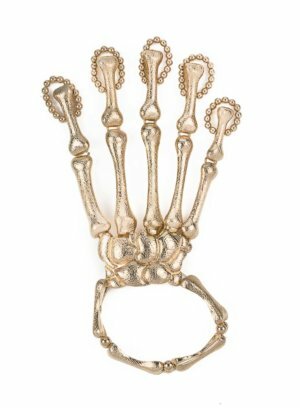 The modern inspiration to the Steampunk design, The Black Leila Hand Harness consists of a chain bracelet that connects to the moveable jointed finger piece, usually worn on the middle finger. The pointed, well manicured nail is encrusted with Czech crystals. 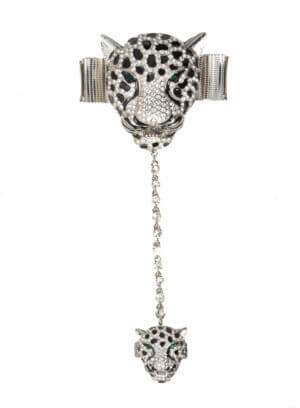 Looks great in your favourite casual ensemble in denims, tights and boots or even a sleek evening dress. 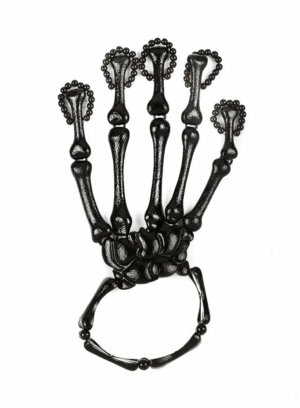 Material: Eco-friendly metal and Czech Crystals Plating: Black Colour MAKE A STATEMENT WEAR ANK Leila Hand Harness in black finish. 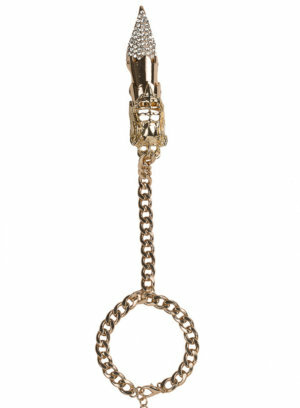 This hand harness consists of a sleek double chain bracelet with a large piece that overlays the back of the hand. 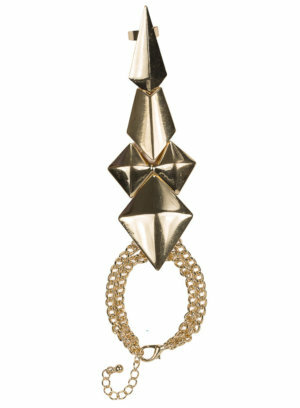 This piece is incredibly unique with its futuristic, metallic feel, geometric-cut design and easy to wear. The Geometric Hand harness adds edge to any outfit. 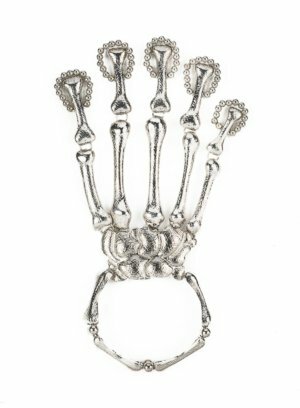 Material: Eco-friendly metal Plating: Rhodium Colour Measurement: One size fits most. Adjustable. 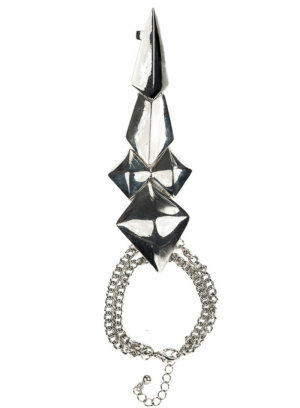 MAKE A STATEMENT WEAR ANK The Geometric Hand Harness in rhodium finish.